Add a bold back-painted glass treatment to your home for a unique and eye catching addition to a kitchen, bathroom or beyond. These quirky ideas will get you thinking about how to add more creative, versatile pieces to your home. Where Do I Install Back-Painted Glass? 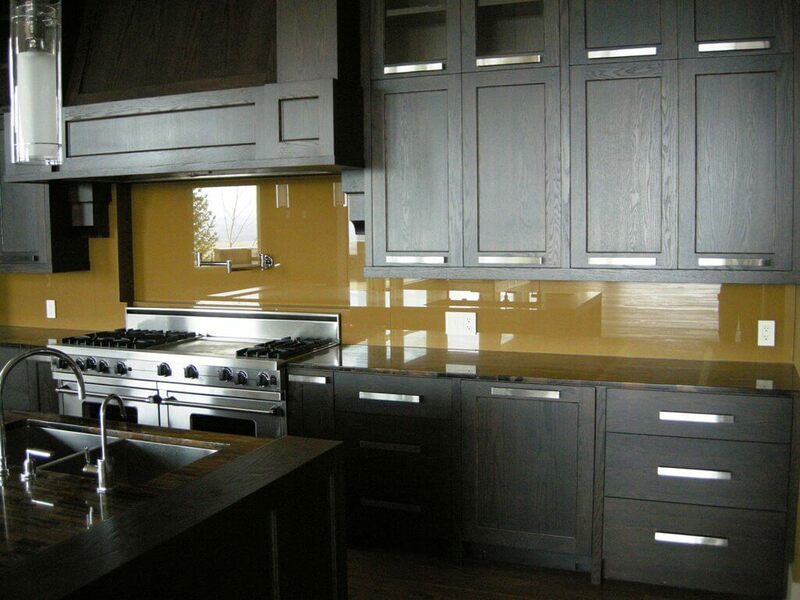 Conventional places for back painted glass are kitchens and bathrooms. However, there are plenty more places in an office or home setting where back-painted glass can function for both style and practicality. We can use back painted glass to make a coffee table, where the glass countertop can be clear or back-painted for the addition of a quirky colour. Adding back painted glass to a wall or partition is doubly versatile, as you can also use back painted glass as a whiteboard to instantly create a to-do station in a home or office. Just how quirky can back painted glass be? That depends on how far your imagination reaches. Some of our favourite quirky colour combos involve one colour that, on its own, can be pretty bold, but combine it with the right colour scheme and you’ve got yourself an interesting design idea. Take, for example, a Swedish nautical-themed kitchen. When combined with some calm, blue hues, a sunflower-yellow backsplash can really brighten up a room. For a luxurious bathroom, red back-painted glass combines fabulously with stainless steel taps. If your office space is looking rather dull and grey, a bright turquoise in wall adds some interest without sticking out. And all this fun doesn’t have to be left at home! Back-painted glass partitions are especially good for offices, as their whiteboard-like surface can double up as a task manager or group calendar. Looking for something to spice up reception? Add a back-painted wall of your company colours for instant brand recognition as soon as someone walks in.